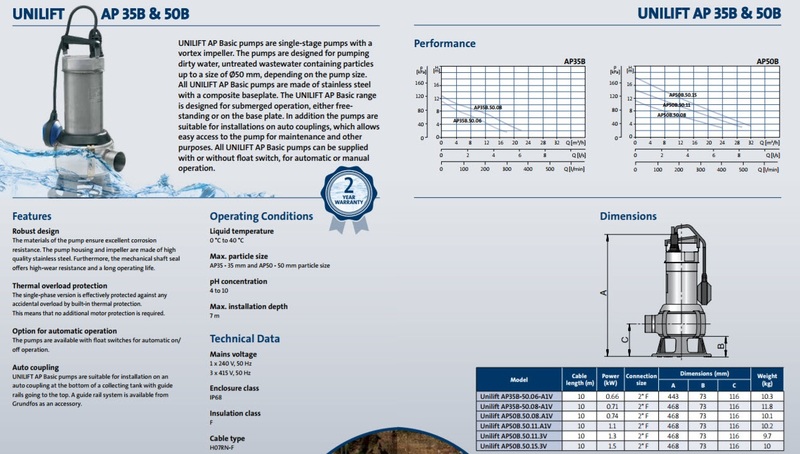 The Grundfos Unilift AP Basic 35 & 50 Sumersible Pumps are single-stage pumps with a vortex impeller. The pumps are designed for pumping dirty water, untreated wastewater containing particles up to a size of Ø50 mm, depending on the pump size. All UNILIFT AP Basic pumps are made of stainless steel with a composite baseplate. The UNILIFT AP Basic range is designed for submerged operation, either freestanding or on the base plate. In addition the pumps are suitable for installations on auto couplings, which allows easy access to the pump for maintenance and other purposes. 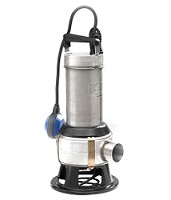 All UNILIFT AP Basic pumps can be supplied with or without float switch, for automatic or manual operation.